I've been kind of an obsessive fanatic about microcurrent treatments for awhile now. I love me a device, especially one that provides instant and lasting contouring, and/or increases the effectiveness of your skincare. Emily Weiss and Hannah Bronfman are both basically skincare goddesses, and both are devotees of the treatments (albeit the expensive professional version.) The home versions are almost as effective, and with daily use provide the same benefits. But they are not cheap. 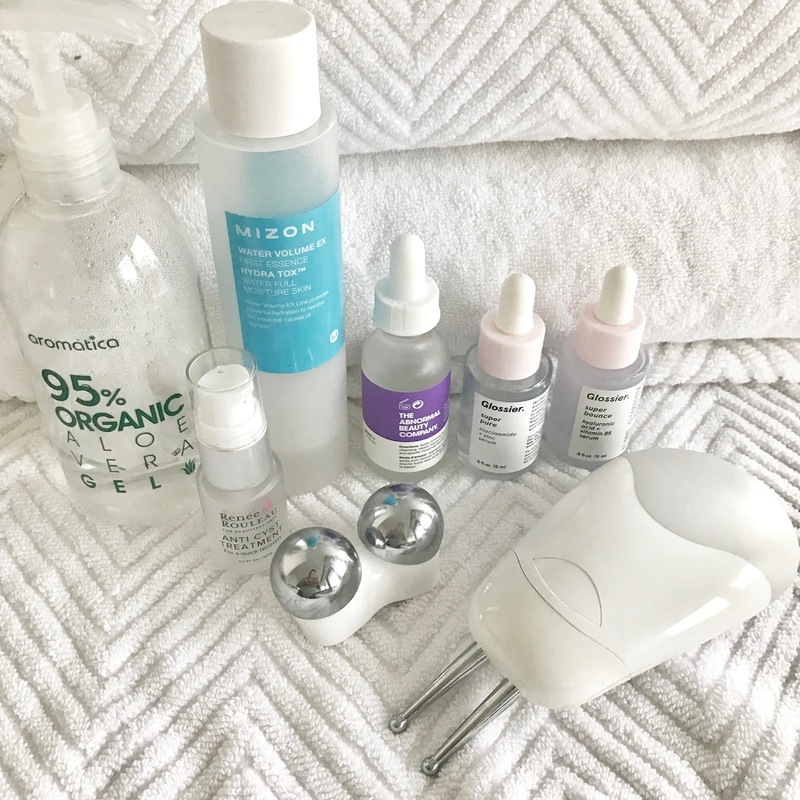 So after you've plunked down the bank for the device, (and then the LED mask, and the silk pillowcase) and all the other serums, potions, etc. etc. it's kind of like, enough already! Am I right? Fear not, because you do not need to throw down an additional $40 a tube for a months worth of sticky, thick gel. Not only is the DIY version as effective, it's super customizable, and in my opinion feels a whole let better. Plus, you don't need to wash it off after. 2) Apply a thick layer of organic aloe vera to the area you want to treat. You want it to stay moist so apply as you work, section by section. I prefer the ones linked for texture, and the cuteness of the packaging TBH, but you can also get the huge cheap jugs if you don't mind a thicker gel. So far these bottles have lasted me since March so I still feel like the price is reasonable. I would advise that since you are super charging the absorption into your skin that you pick an organic version, because yuck, pesticides. 3) Follow with eye cream and moisturizer.